Sometimes all it takes is a little inspiration before something magical can happen. 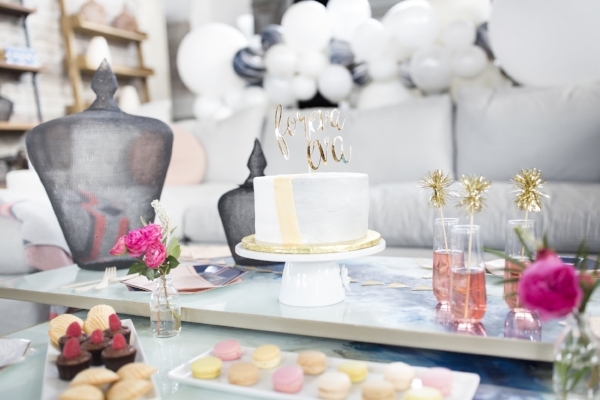 Drawing inspiration from the historical location of the party held at TREE in Tacoma, Confetë Party Box curated the perfect Bridal Shower Party Box for your sophisticated blushing bride. The soft, muted color palette paired well with the modern yet rustic vibe of the venue creating an intimate setting with close family and friends. The bright pops of color added throughout flower arrangements by Diamond Floral & Events created an uplifting and fun feel to the day and truly elevated the fête. The DIY balloon garland added a nice statement piece making the intimate space at TREE feel even more special. How fun are these golden pom drink stir sticks?! 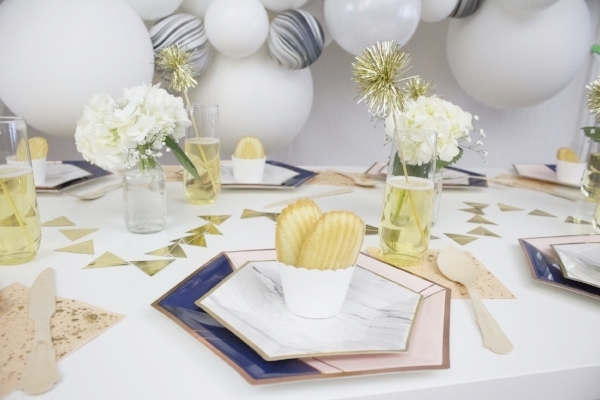 We think you could toast “foreva eva” all night long with accessories like this. Shop the look HERE. When you’re the one planning the bridal shower, you want it to be easy, fun, elegant and memorable. There are an array of customizable options for every party box to truly make it your own. We're not sure it could get any easier than a party box with everything you need delivered straight to your door.